Papua New Guinea's preparations for this weekend's Wellington Sevens have been disrupted by a late change in the coaching ranks, Radio New Zealand reports.. Team manager Billy Rapilla has stepped up to the top job after head coach Fereti Verebula was unable to travel to New Zealand for personal reasons. The Pukpuks are competing at the Wellington event for the first time since 2011 and recently spent three weeks preparing at a training camp in Fiji. Billy Rapilla says he only found out he would be taking charge of the team on Friday. "Can't do anything much about it right now but yeah it was a bit of a shock. We boarded the flight on Sunday so [I found out] a couple of days before we boarded. He's got personal reasons which I can't disclose - PNG Rugby's got to do that at the moment - but for the team itself it's pretty disappointing. He's left at the last minute from a big tournament point of view but we're going to have to get ourselves together and get on with it". 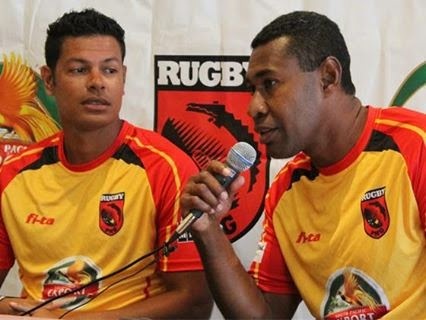 PNG have a difficult pool in Wellington, that includes New Zealand, England and Canada, but Rapiilla says their first aim is to win a match in the group stage and then take it from there.